Recently, had a chance to work with the team which thought it was under-performing, not efficient and wanted to become a high performing team. The first thing that hit me was, why is the team thinking so? Are there any specific challenges that the team is unable to handle, which is resulting in this feeling within the team? And I decided to probe a bit further. Me: What tells you that your team is not efficient? Team: Our velocity is not increasing, the stakeholders are telling for last 6 months we have the same velocity. This means we are not doing better than with what we started, hence we are not efficient. Me: Do you have enough skill-set to create a “done” increment at the end of the sprint? Team: Yes, we do that every sprint. Me: Who takes the onus of bridging the gap between PO and team; setting up the events, managing them and so on? Team: The Scrum Master takes it up. And the probe continued with few more questions on similar lines. From the probe, I understood that there was some gap about the understanding of the concepts like, velocity, efficiency and self-organization within the team. 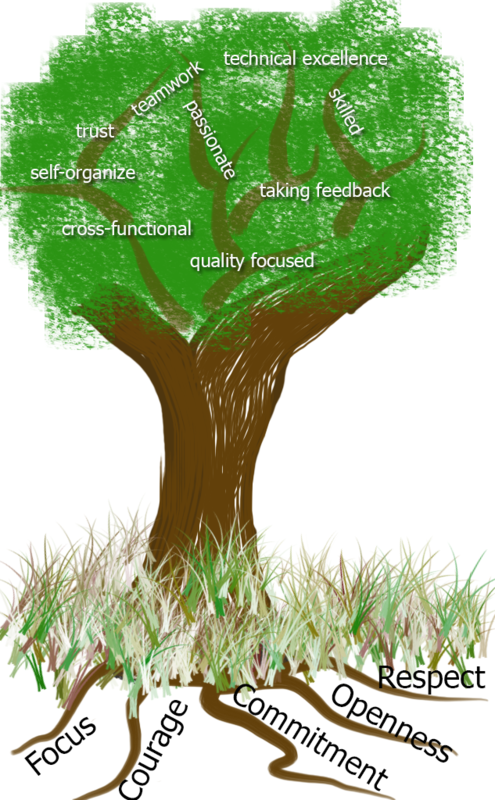 I thought of focusing on these aspects and let the team figure out the rest on their own. The final question I asked was, does the team understands what are the characteristics of a high performing team. To which the team responded with a “yes”. So, I asked them to list out all the characteristics that they think a high performing team should have. While they listed out the characteristics, I gave them some basic definitions and understanding of the concepts where there was a gap. Velocity: Teams capability to convert PBI’s into potentially releasable “Done” increment of the product. It is not about delivering 100 SP or 400 hours of work every sprint. That’s the wrong way to look at velocity. Also, to make note that velocity of two teams cannot be used to compare them. It’s not a valid metric. Efficiency: How much of a quality increment is the team churning out at the end of the sprint. Having focus on technical excellence, reducing any waste and improving the flow is what will make the team efficient. Self-organization: The team is capable of making its decisions and resolving the impediments on its own without any help. It does not depend even on the Scrum Master to get the things sorted. By now the team had identified couple of characteristics for a high performing team. I introduced them to the metaphor of high performing tree by Lyssa Adkins. Asked the team to rate themselves on scale of 1-5 on each of the characteristics that they had identified. On few of the characteristics that were identified, the team rated them less than 3 which was clear indication that the team was aware of its shortcomings. I suggested the team to do a dot-voting; and identify the aspects which needs utmost attention. The team identified that self-organization is lacking in the team; and is the most important to be worked upon. The team came up with a plan, how they are going to work towards making the team more self-organised. Development Team, high performing team, Scrum, team. Bookmark.